A recent decision of the Ontario Court of Appeal (which the Supreme Court of Canada has declined to reconsider) highlights the danger of using fixed term employment contracts. The employee was hired for a 5 year term pursuant to a written employment agreement. The agreement also stated that “Employment may be terminated at any time and the amounts paid to the employee shall be in accordance with the Employment Standards Act”. After 23 months, the employee was fired and paid two weeks’ severance in accordance with the Employment Standards Act. The judge found the termination provision ambiguous, and ambiguity in an employment agreement is always construed against the employer. The Court of Appeal agreed, and confirmed that the employee was entitled to be paid for the remainder of the 5 year term (a hit to the employer of $180,000, not including the legal fees of the case!). If you use fixed term employment agreements, it is strongly recommended that the terms be precise and carefully drafted. BC’s Franchises Act will come into force on February 1, 2017, making BC the 6th jurisdiction in Canada to have franchise legislation. As previously reported, franchisors will be required to provide franchisees with a Franchise Disclosure Document (FDD) at least 14 days before a franchise agreement is signed. BC’s legislation appears to be more business-friendly than in some other provinces. For example, franchisors can require franchisees to sign confidentiality agreements and provide refundable deposits (of up to 20% of the initial franchise fee) when they receive the FDD. Franchisors who operate in any of the existing regulated provinces will find it easy to comply with the BC Act. BC franchisees will benefit from improved access to information and remedies. Many businesses require their customers to sign a waiver to release the business from liability for certain claims. A recent court case upheld the validity of a fitness club’s waiver, and highlighted some of the issues that affect their validity. A customer of the fitness club injured her shoulder and claimed the injury was due to a defective shoulder press machine. She alleged that the waiver she signed was invalid because its legal effect was not explained to her. The waiver was in capital letters (while the rest of the contract was not) and the customer initialed the clause. The court confirmed that, as a general rule, if a person signs a contract without reading it, they are still bound by its terms, unless there has been fraud, misrepresentation or a very onerous term that you wouldn’t expect to be in it. 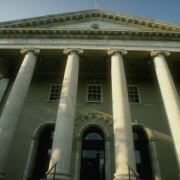 The court also found that a waiver will not protect a business from claims for negligence, unless that is clearly stated, as it was in this case. While the waiver was upheld, it is also prudent for a business to have liability insurance, and to be incorporated to protect the owners from personal liability. 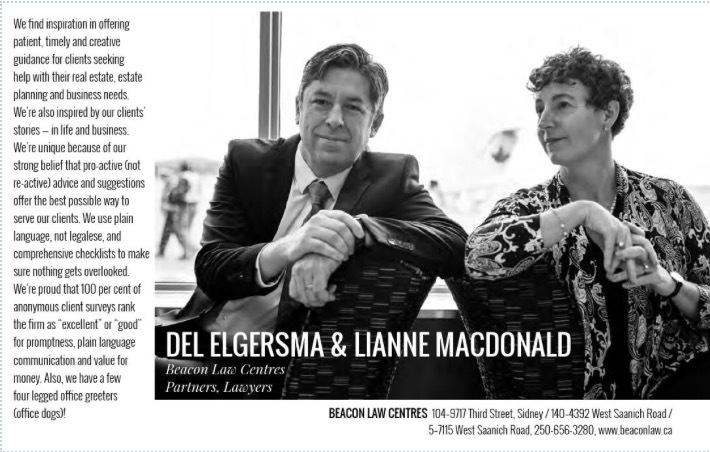 https://beaconlaw.ca/wp-content/uploads/loogo.png 0 0 Del Elgersma https://beaconlaw.ca/wp-content/uploads/loogo.png Del Elgersma2016-05-18 11:46:562016-05-18 11:46:56Are Waivers Effective? Summer can be a challenging time for working parents of young children. Childcare available during the school year is often not available during the summer months. A few recent human rights cases have highlighted the need for employers to accommodate the need for parents to take time off for childcare. Denying time off may constitute discrimination on the basis of family status. Employees are expected to make reasonable efforts to find alternative childcare solutions that will not require them to be absent from work (this duty generally does not apply when the need for childcare is sporadic or unexpected). However, if no reasonable alternative exists, an employer has a duty to accommodate the employee’s need for time off, provided it does not cause undue hardship to the employer. A travel agency that copied the metatags from several pages of a competitor’s website did not infringe on the competitor’s copyright or trademarks, according to a recent decision of the Federal Court of Canada. The metatags were mostly derived from Google keywords that are commonly used in the travel industry. However, the court did say that, in some cases, originally-worded metatags may have copyright protection. In another case, the BC Supreme Court ruled that using a competitor’s business name or trademarks for keyword advertising is not trademark infringement. This case is under appeal, although it is the second Canadian decision that found this practice to be fair use. BC is set to become the 6th province to regulate the franchise industry. The Franchises Act was introduced in the legislature on October 5. Once adopted, franchisors will be required to provide franchisees with a Franchise Disclosure Document (FDD) at least 14 days before a franchise agreement is signed. BC’s legislation appears to be more business-friendly than in some other provinces. For example, franchisors can require franchisees to sign confidentiality agreements and provide refundable deposits when they receive the FDD. Franchisors who operate in any of the existing regulated provinces will find it easy to comply with the BC Act. BC franchisees will benefit from improved access to information and remedies. A Simple Solution to Avoid Probate? “Probate” is a court application to confirm the validity of a Will. It is an increasingly complex process, and requires payment of a probate tax. For many couples, probate can be avoided on the first spouse’s death by joint ownership. Not surprisingly, after the first spouse dies, the family may assume that joint ownership with the children is appropriate to avoid probate. This may or may not be the case. Subject to certain requirements, private companies can sell shares to friends and family and “accredited investors” without issuing a prospectus or hiring a registered securities dealer. These exemptions have been amended to require that companies take “reasonable steps” to confirm that investors meet the requirements of the exemption. Companies may no longer simply rely on the representations of the investor. In addition, accredited investors must sign a new Risk Acknowledgment Form.